Car speakers have always been a great fun part of our lives since every time we sit in a car, listening to music becomes a must. For this, we have come up with a list of the top 10 best car speakers in 2019. Car speakers are a must because, we do tend to spend a lot of time in our cars, be it on a daily basis or long road journeys. Whatever may be the case, the need for a car speaker is felt by anyone and everyone when they are missing or not working. More than often, we have to be stuck in the traffic and this is when we turn on the speakers to listen to a random music on the radio or just plug our mobile devices in with the auxiliary port. Check this out if you are also looking for Best Marine Speakers Reviews with the top choices. Not only that, nowadays they even come with Bluetooth connectivity features that enable you to play music or movies on your car from your mobile phone wirelessly. Some of them, even have a monitor to play movies. Thus, we have come up with the top 10 best car speakers in 2019. Now, let us take a look at the features they can provide. 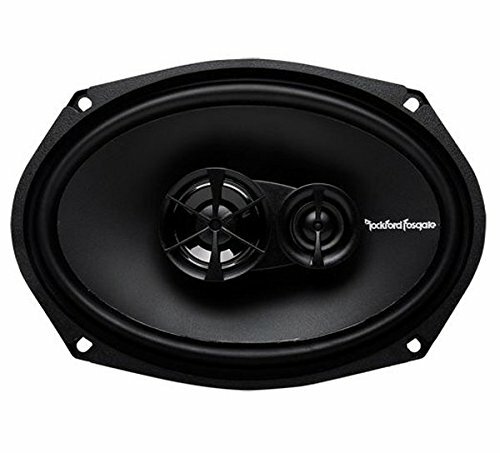 The Rockford Fosgate Prime R169X3 is one of the best speakers that can be added to the music system of your car. It is a three-way coaxial speaker that measures 6 x 9 inches in dimensions. It is a car door speaker that is bound to make up for the features that you paid for. Although car door speakers are made to give your music a more mid-range clarity and richness support, these speakers will make sure you get the best music experience with its reinforced rubbery protection and build. This layer enables your products to deliver you pure sound with zero distortion even at high frequencies. Especially thanks to their polypropylene cone build, the speakers deliver better sound quality while preventing damage during full volume playback. It also has two tweeters to give better clarity. Another lovable feature is the ease of installation. 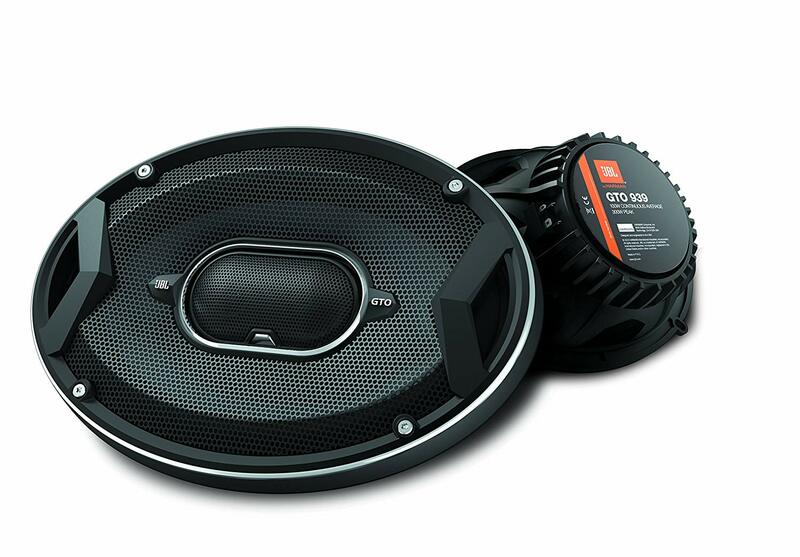 Design: The Rockford Fosgate Prime comes with the superior quality build that is elliptical in shape. Output Power: It has an output power range of 65 watts to 130 watts. 3 Way Speaker: It has a 3-way crossover that consists of a woofer and two tweeters. Super Tweeter: The super tweeter enables clear frequency differentiation. Silk Dome Tweeter: The silk dome tweeter of ½ inches enables crisp sound. You can easily set up the speakers in your cars. The diameter of the speakers is not very suitable for all cars. The build of the wire is thin and this might cause problems in your desired output. The Kenwood Performance KFC-6995PS is definitely a lot better than the factory speakers that come along with your car. Not only that, the speakers are reviewed to be incredibly loud and thus, gives your sound system an edge over the high frequency and bass boosted songs. Not any less should you expect from these 6 x 9 inches speakers since they belong to the Performance Series from Kenwood. 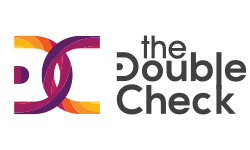 But on the contrary, compared to other brands, they are average. It is made with a waterproof ceramic cone with the design of radial ribs patterns. Thus, the speakers manage to give you a much more responsive bass. These speakers come with a woofer and four tweeters tomake up a better bass output. They have a bad review for the mids and lows. Design: The design is elliptical with a ceramic build in tweeters. Crossover Channels: The speakers have a 5-way crossover with a woofer and four tweeters. Output Power: The output power ranges from 125 watts to as much as 650 watts. Grilles: the grilles are detachable and offer protection to the speakers. Connectivity: It can be only connected by wired pathways. Sensitivity: The speakers have a sensitivity of 88 dBs. You will find that these speakers are really loud for the usual audio quality Kenwood offers. These speakers have a continuous power handling capacity. Despite being very loud, if you want an overall musicplayback review, it is not up to the mark. These speakers cannot be connected using wireless features like Bluetooth. 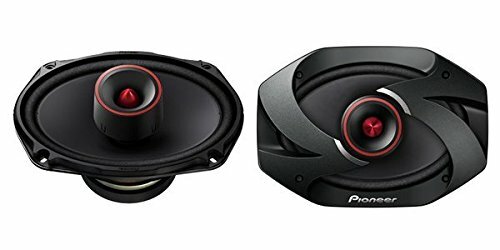 The Pioneer A TS-A6996R is a really good pair of speakers. The range of speakers from Pioneers has always been very good. 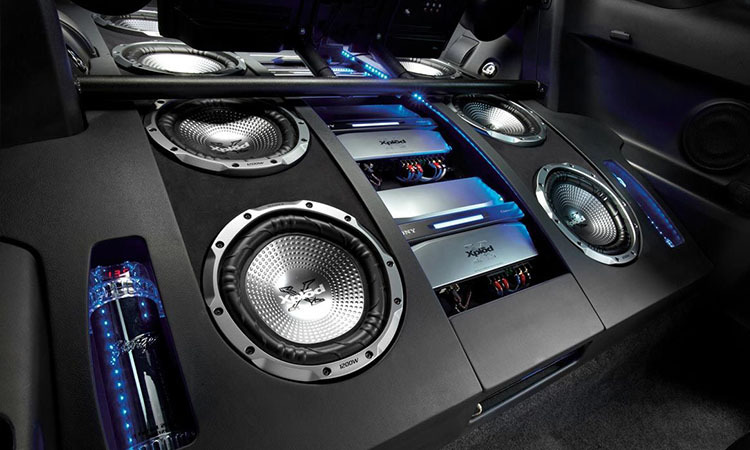 Starting from the build to the delivery of sound quality, they usually provide the best music systems for cars. 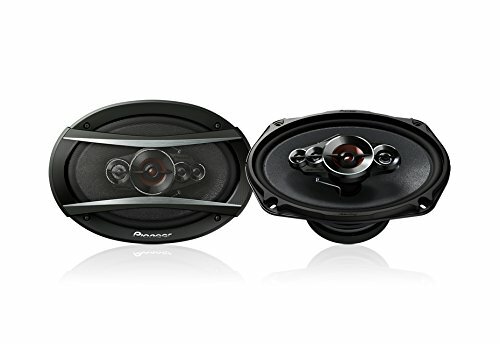 Although this model is not a win-win situation if you have bought one, it is a pretty good model of car speakers considering the low price it comes in and the good power handling. It is a set of two speakers that come with a woofer and a maximum of 5 ways as channels. The sound quality is pretty much satisfying, given that the scores for both the mids and lows are average or good while the high frequencies were disappointing. Design: The design is elliptical and the dimensions of each of these speakers are 6 x 9 inches. Connectivity: The set of speakers come in with wired pathways for playing. Sensitivity: It has a sensitivity level of 93 dBs. Grilles: Yes, the grilles are completely detachable and provided for the protection of the speakers. Speaker Units: The set of these speakers consists of two speakers. Output Power: The output power of these speakers ranges from 100 watts to 650 watts. The Pioneer A TS-A6996R speakers will easily fit into the speaker compartment of your car. They have a very high output and the power handling is really amazing. The set of speakers requires a cabinet separately for the full music experience. The cost of buying a compartment adds up to more costs. 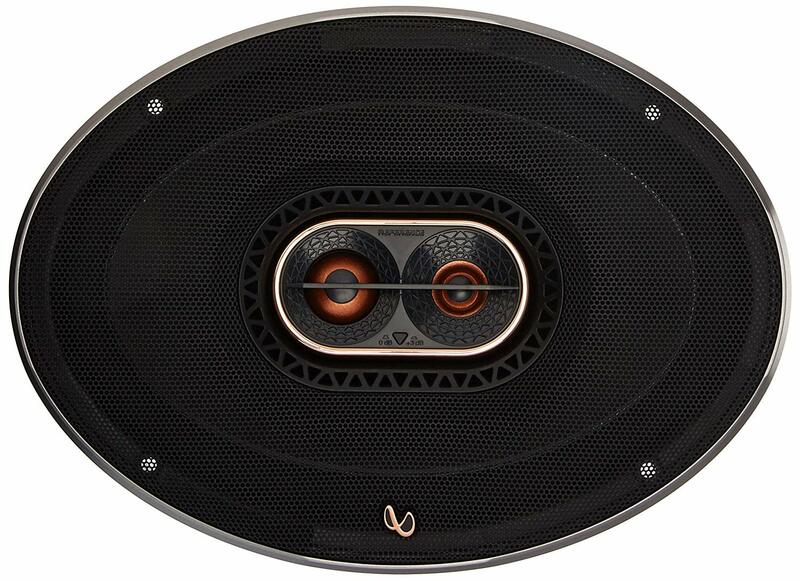 The Alpine Type-S Series (SPS-619) are one of the best speakers in the market. They might not be the most famous manufacturers out there but they surely do know which feature to use in differentiating the target market. They come in pairs and have one of the best sound qualities among the other car speakers in the market. The speakers have a really high level of output power. The set is a three-way coaxial speaker. There are tweeters in the speakers and they are aligned at a definite angle. The highs, mids and lows are absolutely impressive. These car speakers are undoubtedly just the speakers designed for your enhanced music listening experience. They fit in compartments easily too. Design: the set of speakers come in an elliptical shape that has a dimension of ^ x 9 inches. Connectivity: The speakers use wired connectivity pathways. Sensitivity: The speakers have a sensitivity level of 90dBs. Grilles: The grilles are provided to protect the woofer from scratch. Output Power: It has an output power range of 85 watts to 260 watts. Speaker Units: The speaker system comes in pairs. Crossover Channels: The set of speakers come in with a 3-way coaxial sound system. The Alpine Type-S Series (APA-619) are undoubtedly advantageous for their incredible audio performance. The component speakers give you one of the best audio experience. 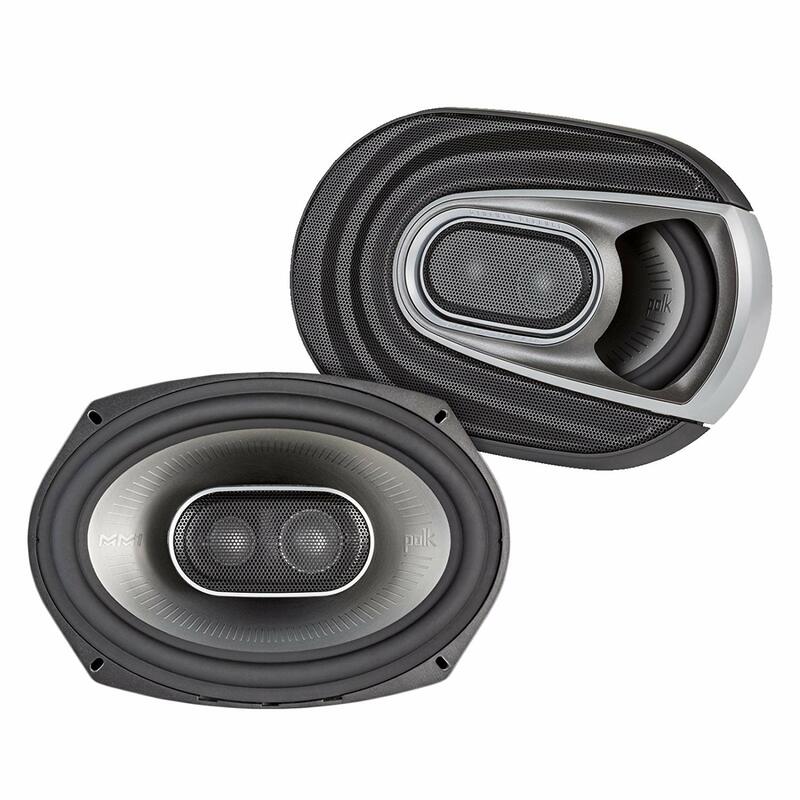 You will find that these speakers have a below average power handling capacity. The component speakers or tweeters need to be bought separately resulting in additional expenses. 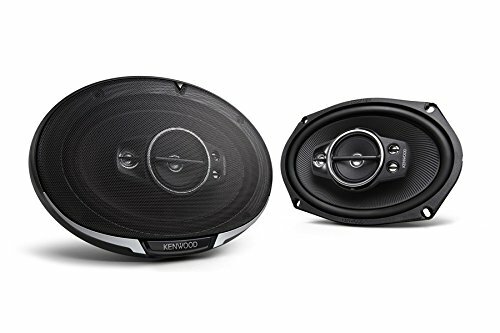 The Infinity Reference X 9623ix is one of the best speakers that you might come across in this list of the top 10 best car speakers in 2019. The set of car speakers come with a very affordable price tag and the quality of service they pack in is very much mentionable. The music playback of these speakers is very good with the mids and highs but very disappointing lows. Design: The set is elliptical and the dimensions of these speakers are 6 x 9 inches. Connectivity: You will find even this model of car speakers to be wired in case of audio input pathways. Sensitivity: These car speakers have a sensitivity rating of 94 dBs. Grilles: Yes, these cars speakers do come with grills for the minimal protection of your car speakers from any sort of damage and they are detachable. Output Power: The output power is pretty much satisfactory ranging from 100 watts to 300 watts. Speaker Units: The set of car speakers have two speaker units. Crossover Channels: It is a three-way speaker set just like most of the car speakers out there. You will find that these speakers give a good audio playback and give you just what you paid for. These set of speakers might be just the ones since they have a very good rating in case of loudness. The music playback is not good in case of low frequencies. The extra speaker compartments enhance the music experience but increase the price too. The name of the brand that these speakers carry pretty much bags in a lot of expectations and they do not really make sure that they live up to your expectations. JBL GTO939 have a very average sound quality. You will find the speakers to be very average with the midrange and low outputs. Although the high frequencies might not disappoint you the continuous power supply makes them durable and worth buying because of the price tag. Design: Your set of speakers come in an elliptical and compact shape with dimensions of 6 x 9 inches. Connectivity: This pair of speakers to have a wired audio input pathway only. Sensitivity: The speakers have a sensitivity level of 94 dBs. Grilles: These pair of car speakers have detachable grilles for protecting the woofers from any sort of damage. Output Power: The range of the output power of JBL GTO GTO939 ranges from 100 watts to 300 watts. Speaker Units: The car speakers come in pairs for you to use on both sides of your car. Crossover Channels: You will find that each of these speakers has a three-way coaxial tweeter crossover for better music output. 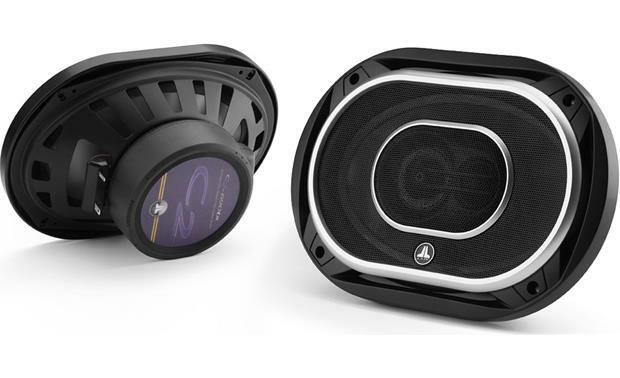 If a continuous power supply is your thing in car speakers, then this pair of speakers is just the choice. These speakers are very durable and it has been verified through tests. The midrange and the lows of music playback were not satisfying for these car speakers. All the hardware for the car speakers is not present inside the box and might need to be purchased additionally. The Kicker KS 6 x 9 3-way speakers have come up in this list of Top 10 Best Car Speakers since they have a pretty impressive feature of durability in case of power handling. These speakers have built in silk dome tweeters. They are built with a propylene woofer and a rubber surround padding. The speakers are so thin that they even easily fit within factory grilles. The lows are very impressive while the midrange and highs are equally disappointing. Design: The set of Kicker KS 6 x 9 inches 3-way speakers have an elliptical shape with a very thin build and their dimensions are 6 x9 inches in diameter. Connectivity: The pair of speakers have only a wired connectivity medium. Sensitivity: The sensitivity of these speakers is reported to be 84dBs. Grilles: Yes, they do come with grilles for a better damage prevention. Output Power: The range of output power for these car speakers are from 150 watts to 300 watts as a peak. Speaker Units: Just like most speakers out there, they also come in pairs for your car. Crossover Channels: The speakers host a 3-way crossover of woofers and tweeters for your rich music experience. You will love the power handling capability of these speakers since the minuimum range of power handling is 150 which is way above average. Thelows of these speakers are really impressive. These speakers can be durable but definitely not loud. Other than the lows, the overall performance is very average in audio outputs. The JL Audio Evolution C2-690tx is a random pop-in but they sure do deserve a place in this list of top 10 car speakers of 2019. The speaker comes with a silk dome tweeter and a polypropylene cone for a decent music playback. They come wih steel framed grills instead of plastic grilles. As far as the music playback is concerned, the music playback is disappointing in all of the highs, midrange, and lows. Design: The design of these speakers is rectangular with curved and rounded edges with the 6 x 9 inches of dimensions. Connectivity: These speakers that you might buy has only a wired audio input pathway. Sensitivity: You can expect these speakers to be sensitive up to 93dBs. Grilles: Yes, your JL Audio Evolution speakers come with stock grilles for protecting your speakers. Output Power: The output power of these car speakers ranges from 70 watts to an average peak of 225 watts. Speaker Units: These speakers will be provided to you in pairs. Crossover Channels: The speakers will give you a 3-way integrated crossover. You can expect these set speakers to be very efficient in durability and loudness. The price paid for these speakers is just worth the performance it gives but yet not up to the mark of a standard scale. The power handling capacity of this speakers is very poor. You might buy these speakers but one thing to know beforehand is that they have one of the most disappointing audio quality grade. The Polk Audio MM692 series speakers are one of the best and rank second in this list of top 10 best car speakers in 2019 because these speakers will actually give you a mind-blowing experience in audio playback. These speakers are paired and the build is as durable as marine speakers. These speakers are water resistant and IP65 approved. We are not even kidding about the music playback quality as it rock the highs, mids and lows. The power output is equally impressive. Design: The design of your Polk Audio MM692 Series is yet again elliptical and the dimensions of these speakers are 6 x9 inches in diameter. Connectivity: The audio input method of these speakers is wired. Sensitivity: The sensitivity of these car speakers is 94 dBs. Grilles: They come with non-corrosive grilles for the best protection for your speakers. Output Power: You can expect the output power of these speakers to be from 120 watts to a decent high of 450 watts which is better than average. Speaker Units: These set of speakers come in pairs. Crossover Channels: The integrated crossover in these speakers is 3-way. The woofer is made of Polypropylene UV resistant cone. You can expect thee, speakers, to be booming with excellence in audio playback. They have a really good build quality that enables them to handle so much power output. The price being paid for such a speaker is very high. Despite having a 94 dB sensitivity, it does not live up to the loudness. The best speaker according to this list comes from Pioneer. The speakers have one of the highest power output ranges in this list. Not only that they have a very good high and low range but they lag badly in the midrange. The design is very impressive. They have a double layer urethane surround. The grilles are highly durable steel frames. The speakers come with components for more improvements. The speakers come with a pulp blended midwoofer cone and sleek design. Design: Expect the shape of your Pioneer PRO Ts-6900PRO to be elliptical and the dimensions to be conventional i.e. 6 x9 inches in diameterwith a metallic, dark and hunky look. Connectivity: The only audio input pathway for these speakers is wired. Sensitivity: The sensitivity level of these speakers is 92 dBs. Grilles: Yes, they do come with grilles for protection. Output Power: The output power ranges between 100 watts to an astounding 600 watts. Speaker Units: The speaker set packs in two car speakers. Crossover Channels: The car speakers have an integrated crossover of two ways. The highs and lows of these speakers are very impressive and an impressive music playback. The midrange of these speakers is not up to the mark. The speakers have extended tweeters that do not fit in all cars and might be out of the option. Despite a lot of research, there are differences in the features of these speakers that make them stand out. There are speakers that only concentrate on one feature like an overall clear music, some work on the loudness while others work on packing a punch within a tight budget. The difference between the ones at the bottom and the top is that the ones on the top have an equal balance in the features they provide. These speakers have an overall better feature while having one, two or more excellent features. Even then, they have features that are not convincing.